Can auditors save their integrity? 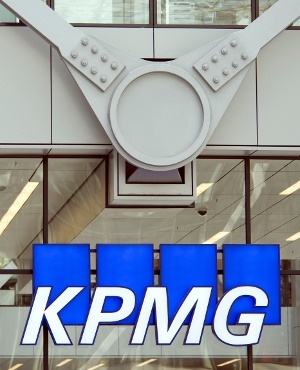 KPMG’s audit work in the UK is of an unacceptable standard, Britain’s accounting regulator has said, fuelling calls to reform the industry, including dismantling the 'Big Four' players. In an unprecedented assessment, the Financial Reporting Council (FRC) said auditors at KPMG don’t challenge management enough, aren’t sufficiently sceptical and are inconsistent in their execution of audits. The decline in quality over the last five years "is unacceptable and reflects badly" on efforts by previous leadership to improve the work, the watchdog said. "This is further evidence that problems at KPMG are profoundly systemic," said Atul Shah, professor of accounting and finance at the University of Suffolk. "They are a profit-maximising business rather than a professional firm with standards of independence, character and integrity. To reform the Big Four, we must address these cultural problems and conflicts of interest." The FRC was criticised as toothless for failing to hold to account the auditors of banks rescued during the financial crisis - and may have decided to start baring its teeth. Just this month, the watchdog fined both PricewaterhouseCoopers (PwC) and KPMG for misconduct on past audits. The Big Four’s business model mixes audit with management consulting, tax advice, information technology and an array of other services, prompting claims of conflicts of interest. "The Big Four firms are breeding grounds for future finance directors and corporate leaders," Shah said. "If that breeding is culturally deficient, you can imagine how far the cancer spreads." UK auditors are facing increased scrutiny as lawmakers renew calls for competition authorities to consider a breakup of the largest accountancy firms. A parliamentary report last month criticised KPMG, Deloitte, EY and PwC, along with banks and other advisers, for poor oversight of Carillion, a collapsed British firm that constructed and managed government projects. KPMG is "disappointed" its audit-quality score has declined and is acting to resolve the issue, Michelle Hinchliffe, head of audit at the firm since 2017, said in a statement on Tuesday. The firm has begun work "to ensure the highest standards of consistency and rigor are applied across all of our audits", she said. This includes ensuring senior candidates for promotion spend time at the company’s Audit Centre of Excellence. The audit work appraised by the FRC dates "principally" from 2016, she said. A review of 16 audits carried out on firms in the FTSE 350 index by the FRC found that half required some or significant improvement. To address the poor performance, the regulator will increase the number of KPMG audits it inspects in the current financial year by 25%. The accountancy firm has established a board sub-committee to oversee audit quality to try to improve, according to the report on Monday. The FRC this month fined PwC £6.5m and severely reprimanded the firm for misconduct related to two 2014 audits. KPMG was fined £3.15m over a 2013 audit.